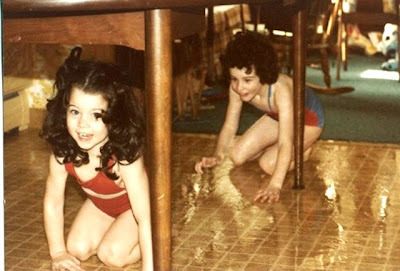 My sister and I used to look forward to our mother's mopping days. She would let us get into our swim suits and slide all over the kitchen floor. We thought it was great fun! You'd think we were heading off to a water park by our excitement as we got dressed for mopping. We probably didn't slip and side very fast, but it felt to us like we were whirring along. Maybe you need some extra motivation to mop the floor these days? A couple of excited kids might help!